(Natural News) We’ve all heard that if you quit smoking, your lungs will repair themselves over the course of several years. In fact, the American Heart Association says that lung function starts to improve after as little as two weeks without smoking, and by nine months, breathing improves dramatically. However, this is not the case for those suffering from a condition known as Chronic Obstructive Pulmonary Disease (COPD), and a new study has uncovered the mechanisms through which smoking cigarettes can actually destroy the ability of some people’s lungs to heal themselves. The head of the Helmholtz Zentrum Munchen’s Comprehensive Pneumology Center’s Research in Lung Repair and Regeneration, Dr. Melanie Konigshoff, said that COPD causes a change in the messengers used by lung cells for communicating among themselves. A rise in the production of a molecule known as Wnt5a has been identified by the team as disrupting the traditional process through which the lungs self-repair. The study’s lead author, Dr. Hoeke Baarsma, said that smoking causes an imbalance of the molecule that is responsible for impaired lung regeneration, and the misdirected signal starts in the fibroblasts. The scientists directed antibodies against Wnt5a in experimental models and were able to slow lung destruction and preserve lung function, verifying that this is indeed the root of the problem. According to the COPD Foundation, 9 out of 10 people who have COPD have a history of smoking, although genetics and environmental factors can also play a role. The COPD Foundation reports that the condition affects around 30 million Americans, although more than half of sufferers do not realize they have it. COPD is actually an umbrella term that encompasses several progressive lung diseases, including chronic bronchitis, refractory asthma, emphysema and some types of bronchiectasis. Most people first notice the symptoms around the age of 40, and they include frequent coughing, increased breathlessness and wheezing. The researchers’ findings could lead to new therapies for this common disorder, which is very promising news considering how widespread it is. However, there are already several natural therapies that have been shown to help those dealing with the condition. 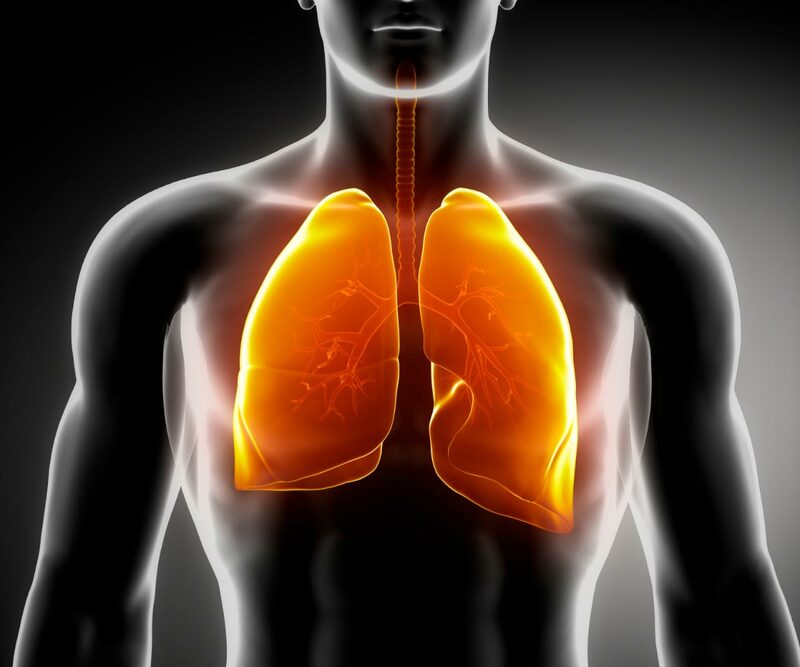 A Japanese study found that acupuncture can help improve shortness of breath in some COPD patients. A silkworm enzyme known as serrapeptase has also been shown to help improve the condition. Some people have reported being able to completely resolve COPD using cannabis oil. Lifestyle changes can also make a big difference in dealing with COPD. Giving up smoking should always be the first course of action, but if you’ve already done that, there are plenty of other good ways you can improve your quality of life with COPD. A plant-based diet full of organic fruits and vegetables can help, and eating lots of organic broccoli in particular can improve COPD symptoms. Eliminating animal products from the diet, including eggs, can also help. Many COPD sufferers also find that omega-3 oils can be beneficial. These can be found in foods such as walnuts, flax seeds and oily fish like salmon, sardines and herring. Another lifestyle change that can help is improving the quality of air in your home. Keeping your house free of moisture and dampness can go a long way, as increased moisture creates the perfect environment for the growth of mold and bacteria that can trigger infections and respiratory allergic reactions. Quitting smoking is one of the best things that you can do for your health, even if COPD has already set in. As scientists continue to gain a better understanding of how the lungs heal themselves, better treatments could be in the pipeline. Previous :Is yogurt the key to reversing depression?